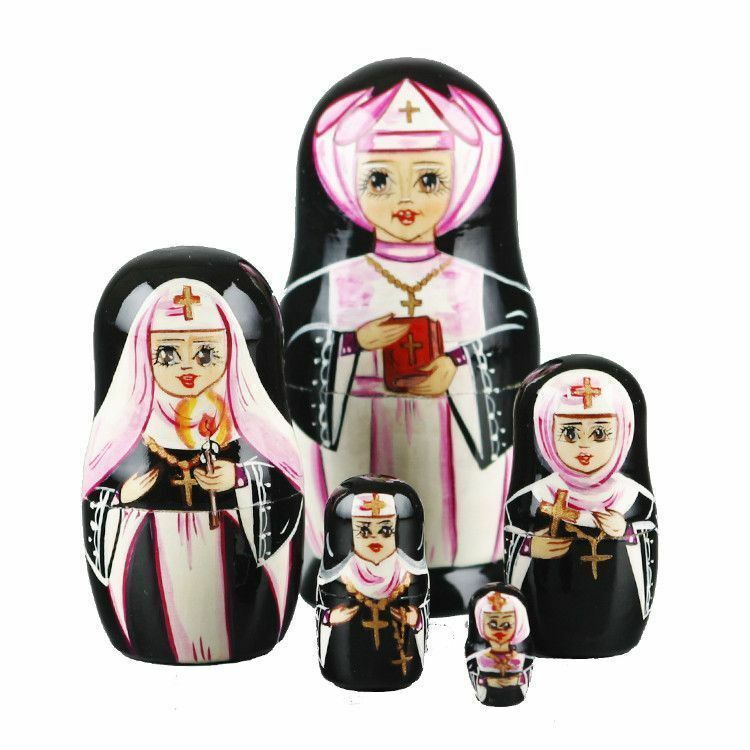 This nuns nesting doll is imported directly from Russia. 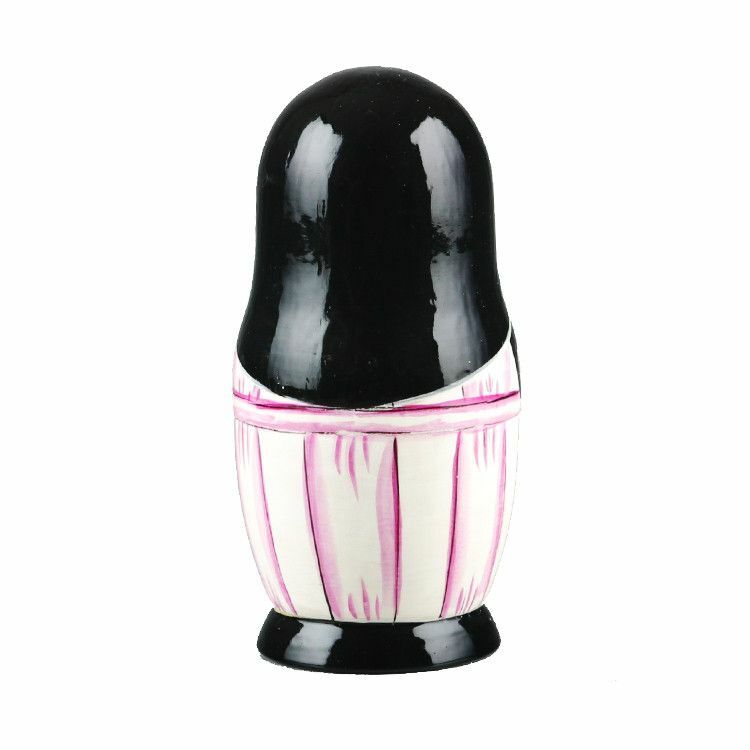 It is hand carved from birch wood and hand painted by Russian artist. 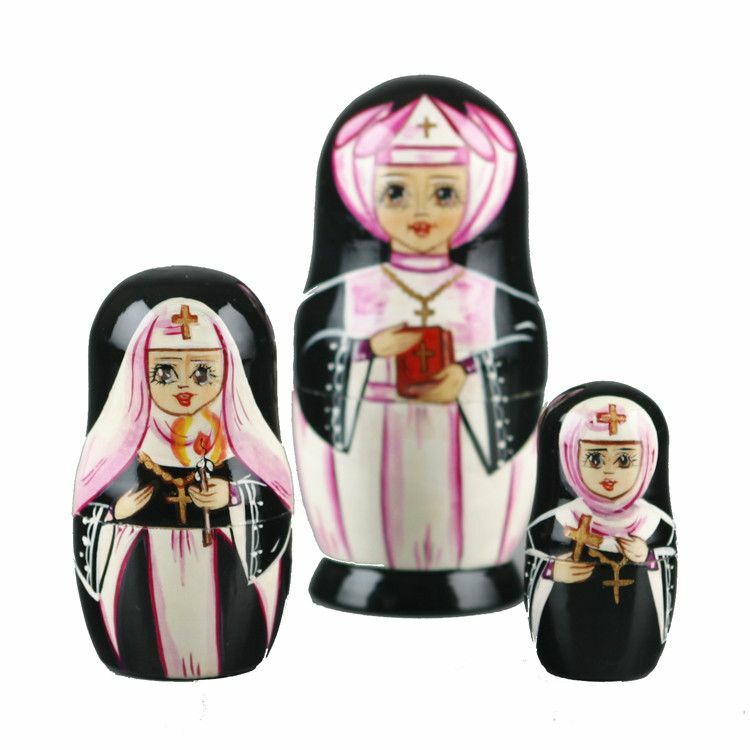 The largest doll holds a bible while the smaller dolls hold either a cross or a rosary. 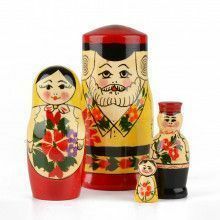 Open it up and it reveals a set of smaller dolls inside with different pictures on them. 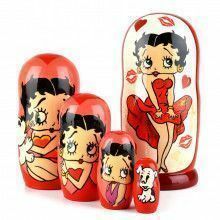 Makes a great gift or home decoration. 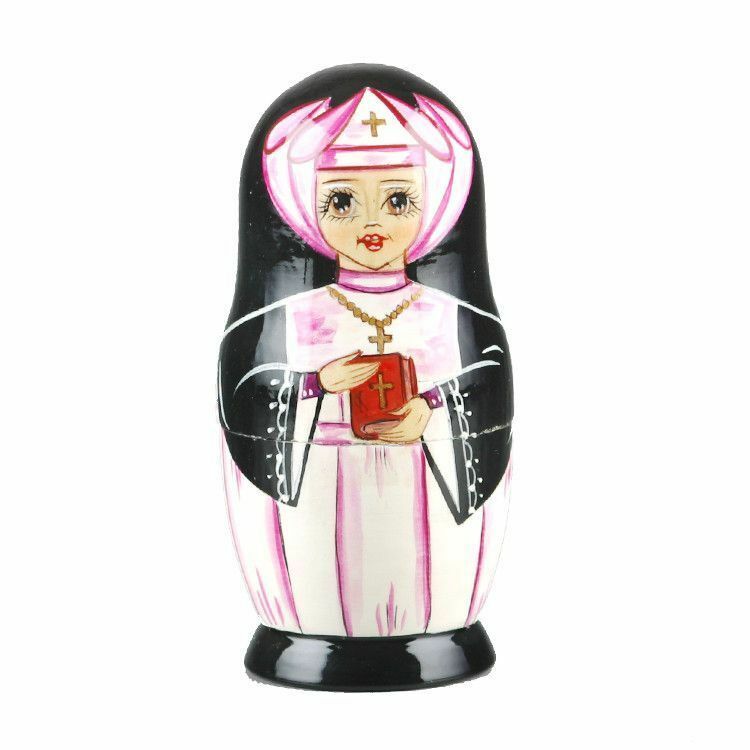 Due to the fact that each doll is made by hand, color and design may vary slightly.